If you haven't figured this out by now, I'm pretty good friends with Mijune (aka Follow Me Foodie). But with her successful life as a foodie master, it is increasingly hard to track her down and meet up. Wait, maybe she is trying to ignore me? I guess I do not take a hint very well. What8ver the case (no, that is not a spelling mistake, just read on...), I was able to corner her late one night. With not much open in the area, we ended up meeting at What8ver Cafe for some drinks and snacks (on a night that she had already consumed 3 dinners...). 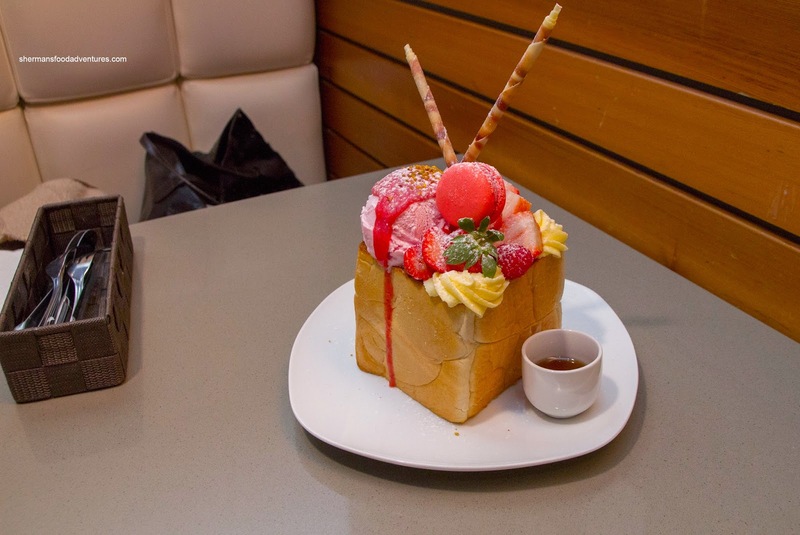 With all the "toast" craze these days, I wonder if people actually realize that toast is not something new especially with Taiwanese cuisine (and HK-style cafes). 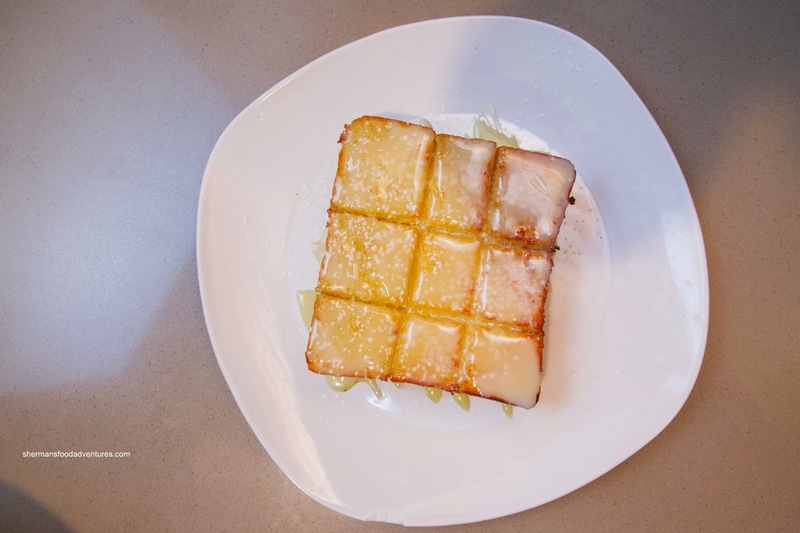 Sure, it is different of course, but it is still glorified toast. On that note, I tried the Pizza Toast topped with real mozzarella, cheddar and dry Italian spice mix. As you can see, they didn't skimp with the cheese (which was not greasy) which was a nice compliment to the crispy toast. Since it was thick-sliced, the inside was soft and slightly elastic. At Mijune's urging, we also got the Strawberry Macaron Toast Box. This thing was topped with strawberry ice cream, strawberries, a strawberry macaron, whipped cream and accompanied by honey. Compared to the one we had at Soho, this was less sweet due to one less scoop of ice cream. The toast inside was crispy and only lightly sweetened. The surprising part was the macaron as it was crispy and light with a soft chewy centre (wonder where they sourced it from?). For my beverage, I got the Mango Slush with coconut jelly. This was served in a large jar with a considerable amount of jelly. Hence, it was a prudent decision to order the slush with less sugar. When mixed together, it was just right with a very mild mango essence. We ended up sharing the drink where it appeared Mijune actually drank it instead of me. Does she live on sugar? Well on that note, I was able to corner her again and we met at the same place, same time and same table. We didn't order the same stuff, yet kept to the theme by getting the Toast with Condensed Milk. 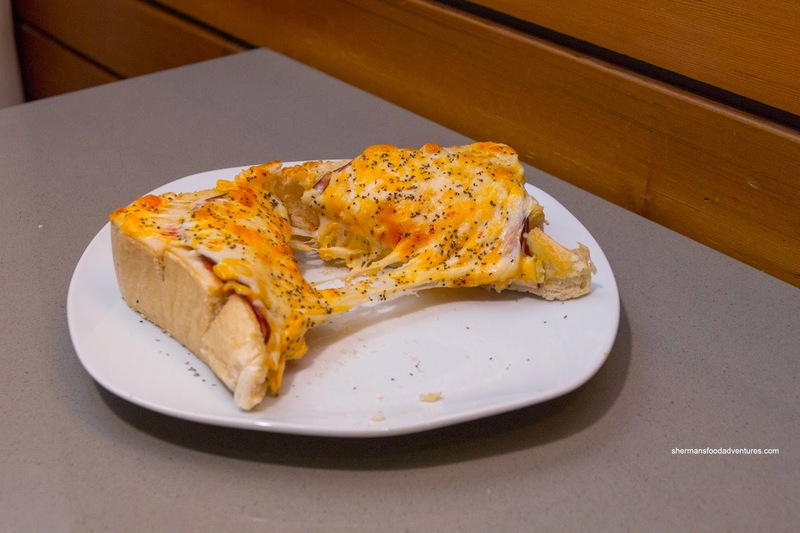 With less stuff on top than the pizza toast, this version was appreciably more crispy and firm on the outside while still soft on the inside. As much as condensed milk can be super sweet, there wasn't too much which made the sugar level bearable. 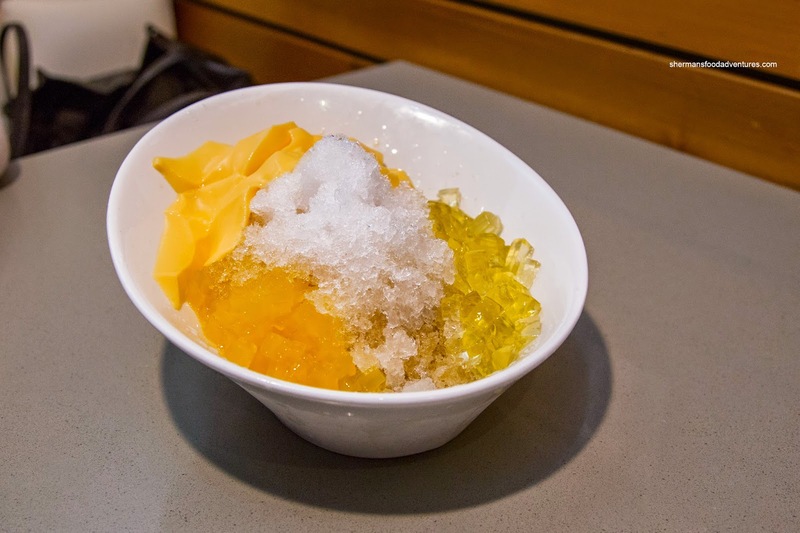 For the 2nd time, they didn't have a few things available including the omelet, so we settled for some Shaved Ice with mango pearls, lemon jelly and pudding. 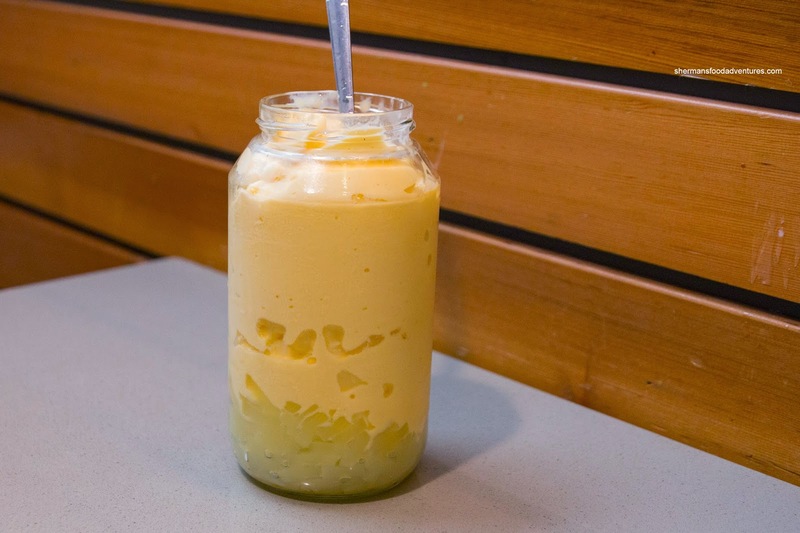 As much as the individual ingredients were not sweet and in fact, quite bland, the drizzle of condensed milk was too aggressive. Hence, the ice was super sugary and we actually need more ice to balance it out. From the items we did get to try, they were serviceable. The toast box was probably the most memorable of the bunch. 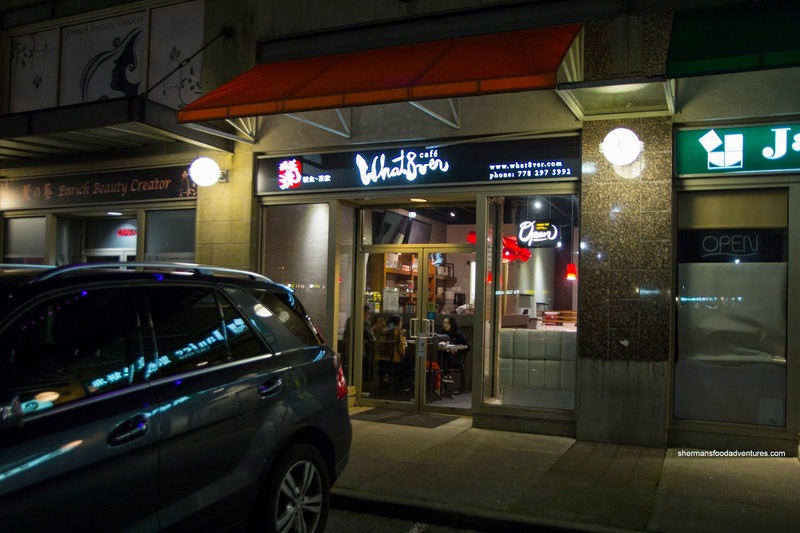 Unlike most internet reviews, we didn't find the service bad.